Last Friday New Jersey Senator Cory Booker (D) announced his campaign for president. Booker, who is one of only 3 sitting African American senators, made his announcement on the first day of Black History Month likely as a symbol of his commitment to racial justice. 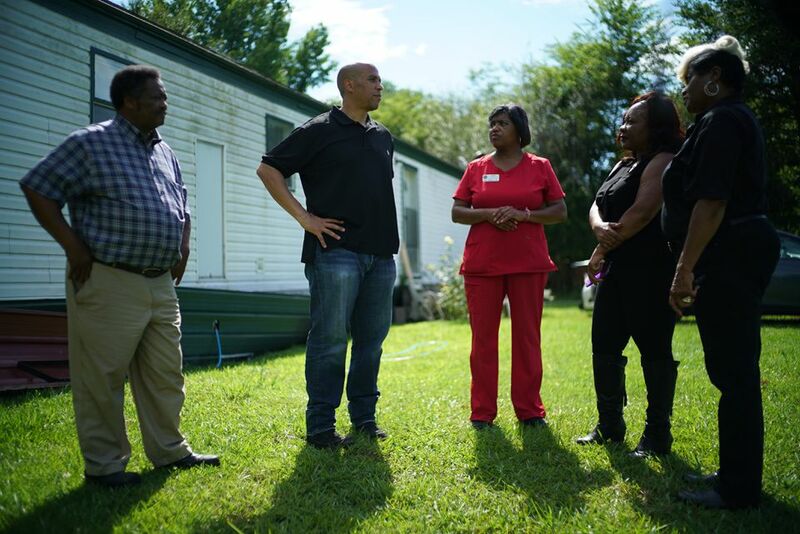 The senator specifically has been outspoken on the issue of environmental justice in communities of color stating in 2017 that “Environmental injustice anywhere is a threat to justice everywhere.” In addition to this, last week before the campaign formally launched, Senator Booker was also featured on National Geographic’s Explorer program in an episode that followed the senator through Uniontown and Tallassee, AL, two majority-African American communities that are also home to major landfills, coal ash deposits, and open sewer pits. Throughout the program, Senator Booker met with local residents to discuss the health impacts of this toxic waste as well as how black property owners are being displaced by massive landfills from land purchased by their ancestors with little legal recourse. A shocking statistic that I (Miro) learned from watching the episode was that in the last century, African Americans have lost 8 million acres of land that they’ve owned to systematic discrimination, and landfill expansion is a big culprit. How this works is that landfills are purposely placed near communities of color, they then devalue the land around them and landowners are often forced into foreclosure. As a result, the waste management industry buys this land at a steeply discounted price and expands existing landfills, creating a vicious cycle. Why This Matters: It’s critical that the next presidential nominee (whether it’s Senator Booker or someone else from the growing list of Democratic hopefuls) makes environmental justice a central campaign issue. The fact that a person’s zip code in America can determine whether he or she has access to clean drinking water and breathable air is a shameful statistic for the richest nation on Earth and our next leader must take all strides possible to address this injustice. We must be able to provide this basic safety for all Americans. It’s also worth noting, as the Birmingham News reported, that since the episode was filmed, the U.S. Department of Agriculture has awarded Uniontown a $23 million grant to abandon its failing sewer system and pipe its sewage to a nearby town, though efforts are still ongoing to secure local or state matching funds for the remainder of the $31 million project. Go Deeper: You can read our original interview with Senator Booker we featured last Earth Day where he discussed the importance of addressing environmental justice.